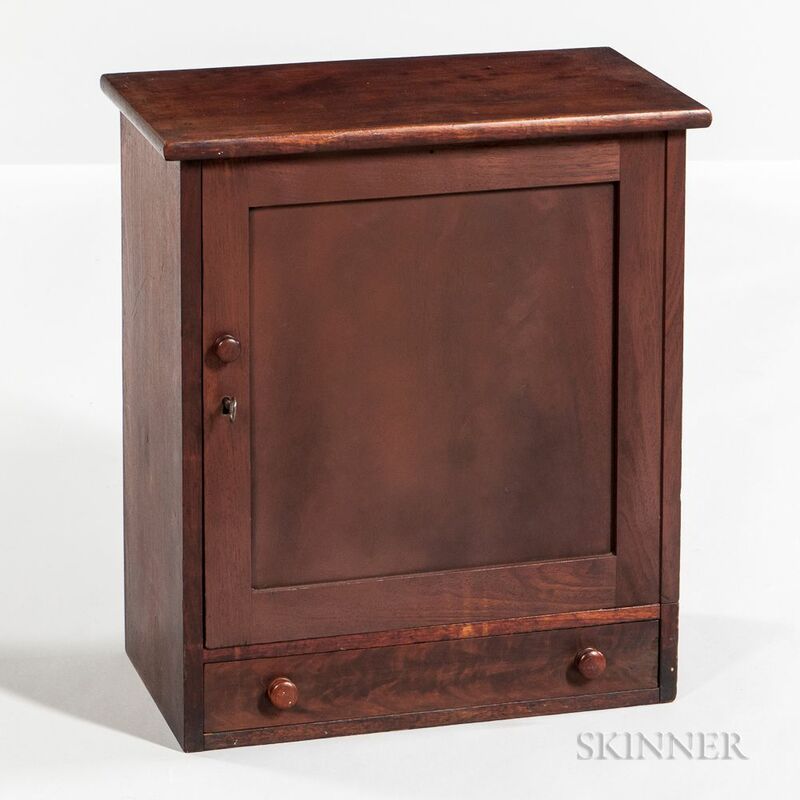 Small Mahogany Veneer and Walnut Cabinet, Stephen Smith, Boston, Massachusetts, c. 1840, the locking cupboard door opens to two large compartments and nine pigeonholes, above a drawer which bears the stencil of the cabinetmaker, ht. 22, wd. 18, dp. 10 in.